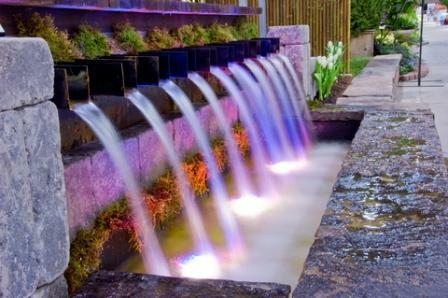 Design a garden focal point that reveals your personality and communicates effectively to your visitors! Every garden benefits from a little dramatic finesse! Dramatic placement of plants and decorative touches added to the garden help create a strong personal message. This strong, personal message is what makes a garden truly memorable. Here are a few great examples of the strength of an exciting focal point! Oh, and did I tell you it is fun! 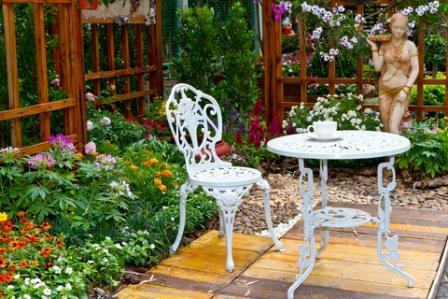 There is so much opportunity to express yourself when you design a garden focal point. You can drag your mother’s neglected but oh so cool old sewing machine into the garden and it suddenly takes on new life! 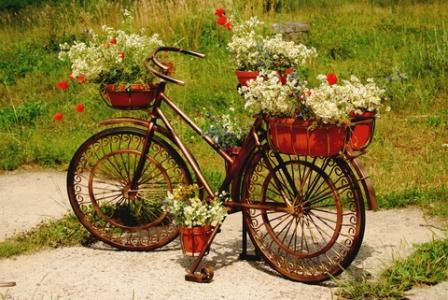 Recycle just about anything into the garden as an exciting garden ornament. If you love plants more than junk, (some of us really DO!! 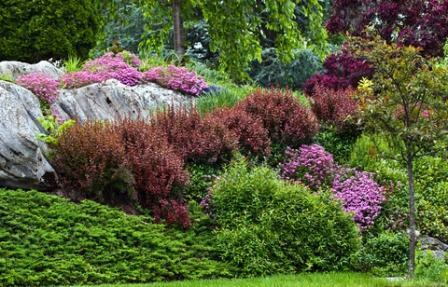 ), then you can use impressive specimen plantings, groups of containers, or drifts of like plantings to draw the eye. When you design a garden focal point, anything goes, as long as it is well placed! Why design a garden focal point? As if you even needed to ask! There are so many valuable reasons to design a garden focal point that it seems to me that anyone who doesn’t take the time is missing a few marbles…up there, you know? 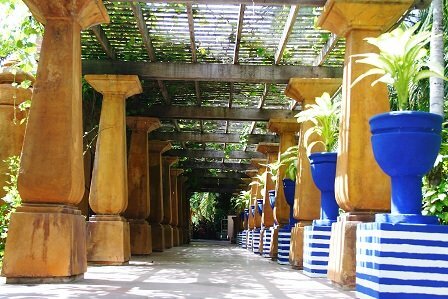 Garden focal points help to add emphasis to important areas of the garden. They help to guide our eyes toward the important visual clues that help us to fully appreciate the design and enable us to easily move around the garden. When you design a garden focal point you put a stamp on your garden, creating a personality that is wholly yours and no one else’s! 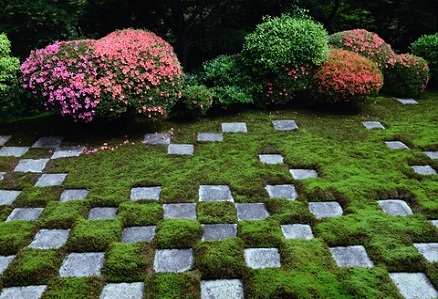 Focal points help to turn an ordinary garden into an exceptionally memorable one. By creating a cleverly placed focal point, you can camouflage those ugly or hugely uninteresting functional areas that are necessary in every garden, things like those garbage cans, air conditioners, and utility areas. There is no easier way to create unity in a garden than to use thoughtfully placed focal points to visually tie garden areas together. Garden ornament placed as points of emphasis throughout the garden can add structure to the garden, as they do not change with the seasons. Need I go on? There are so many reasons to design a garden focal point that make sense! Don’t you agree that a gardener who doesn’t create these areas of emphasis has lost a marble or two? The major purpose of the garden focal point is to help set the mood for your garden, and to add that theoretical ‘period’ to the design. Garden ornaments and specimen plants are what create a fully finished, highly desirable effect in a garden. The areas of emphasis that you create when you design a garden focal point help to establish the uniqueness of a garden space and to conjure in the minds of your garden visitor allusions that help to conjure up an exciting garden atmosphere. They create references to pictures and emotions in our minds that evoke a human response. 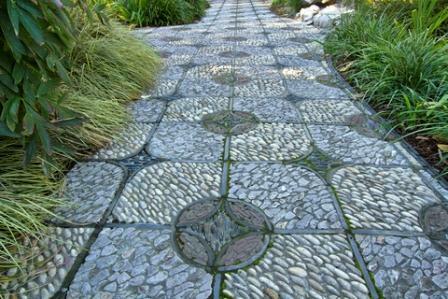 Garden focal points can be used to help control the movement of a visitor. 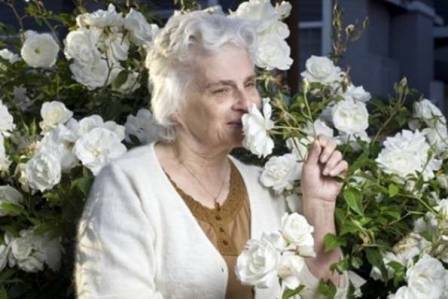 Do you want your visitor to slowly meander through the garden while they take in the individual beauty of each plant? Maybe you want to allure a visitor to your front door quickly, or stop entirely in the garden to take in the minute detail of a delightful garden ornament. Pairs of objects placed anywhere along an access path create a sense of moving from one garden area to another and set the expectation of new garden delights just around the corner. Shaping the progression of your visitor through your garden, both visually and kinetically, can be easily managed through the placement and arrangement of objects and plants as you design a garden focal point. Understanding how the line of sight affects our absorption of the garden space allows us to visually tie our home to the grounds around them and fashion unity among all garden elements, even if our visual choices are quite diverse. You see, what matters most is the overall placement of the visual elements of the entire garden. When there is unity throughout the garden in regard to placement of the objects and plants that make up the garden, the variety you introduce within that overall pattern can be quite diverse, and still hang together. Garden axes are one of the secrets of placement that separate a professionally designed garden from the majority of residential gardens. 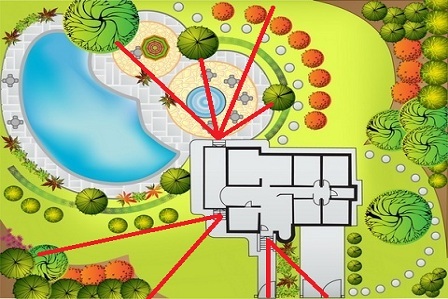 Here I would like to introduce a concept that is very useful as you design a garden focal point and determine its placement. 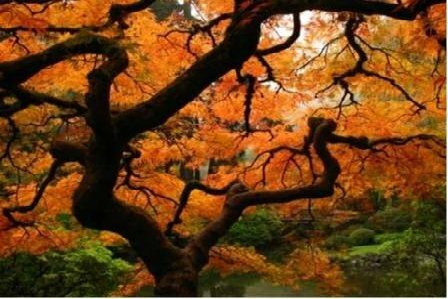 Appreciating the concept of a garden axes, or line of sight, has an astounding effect upon your ability to draw the eye and get the most out of your garden. These garden axes help provide a guide to where to place your focal points in the garden. There can be one, or many, and there are several key principles to keep in mind as you lay these out in your own garden. Focal points are among the first things you may want to plan for in the garden, as they can provide help in placement of the major elements of your garden design, including paths, patios and water features. By identifying the garden axes up front, you can be on the lookout for those unique and wonderful objects, plants and features that will make your garden yours. 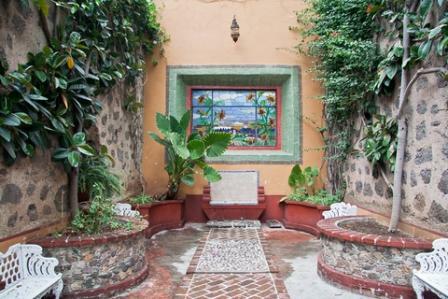 To discover the garden axes for your own property, start by looking out of the windows and doors of your home. When you look out of the window, the line between your eye and the furthest point you can see in your garden is a garden axes. You need to decide which of these garden axes you are going to develop into your focal point. Using your functional plan, you can divide up the areas of your garden in to the desired spaces, and then within each isolate the point you would like to emphasize by adding focal features. 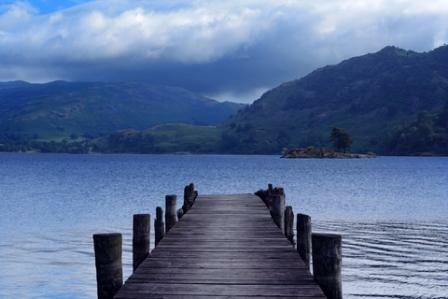 Decide what you think is the most important view from your home. One point of emphasis, or focal point, can be used to provide interest to several windows from which you may be able to see it. These views that extend from your windows and doors, even patios where you plan to spend significant time, are the most important garden axes to furnish properly. Now you will want to think about the view from the identified focal point TOWARD the house, doors, or patios. The view from these points of emphasis should be equally as delightful as the view from the home. Thinking this way ensures that from all points in the garden you will have an exquisite or exciting view. Dress up windows, doors, or patios to create their own sense of drama by adding focal features, or maximizing existing architectural features indoors or out. When you address this, you are addressing the “double axis” or “reverse axis”. This simply highlights the fact that both ends of the garden axis have been considered and the view maximized. Be sure to address early those difficult places in your garden such as air conditioners, utility posts and meters, garbage and service areas. These are prime areas to design a focal point in order to distract the viewer's eye from those more mundane or unsightly areas. 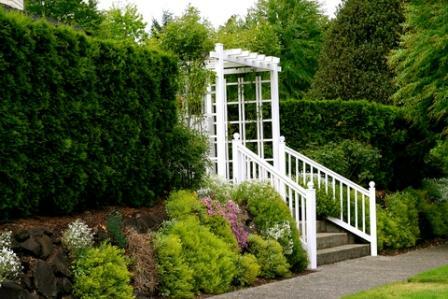 Under most conditions, you will not want to be able to see other focal points within the garden, unless they are obscured by plantings and are providing a “peek a boo view”. You will always be able to see the reverse axis, but other garden focal points should not be obvious from any one focal area. Using care to camouflage or obscure these additional focal areas helps you to keep from creating a sense of disorder in the garden space. A unified, memorable garden takes time to create. Don’t expect to do it overnight! Plan for enticing views from all the key points in your garden, whether patios, destination points, or house windows. Focus on one area at a time, make it spectacular, and then move to the next. Your garden will guide you, a bit at a time toward an integrated, beautiful picture. When you design a garden focal point, your goal is to astound your visitor (and yourself!) with the incredible view. Make it something you want to live and grow old with! However, don't overwhelm your garden with too many areas of emphasis! Keep the balance, create unity, and provide just enough variety to bring interest. When you design a garden focal point that is appropriate to YOUR garden, you will know it. It will excite not only you but all your garden visitors. A picture is worth a thousand words they say! 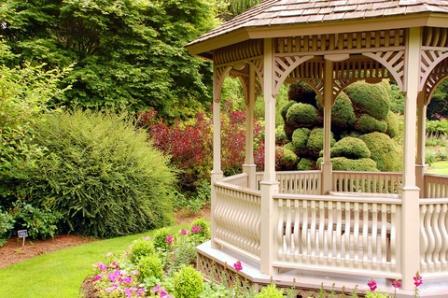 Here are some great ideas that may help you expand your definition of a garden focal point. ANYTHING will do, placed properly, supported with the right plantings and hardscape and reinforced by placement along a garden axis. 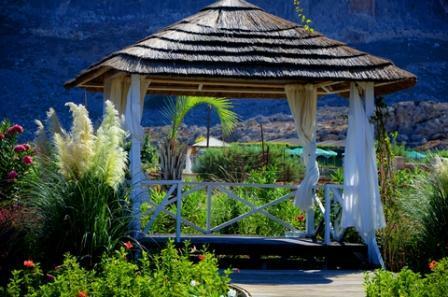 Take a look at these wonderful examples of garden focal points and fuel your own dream. Design a garden focal point that incorporates these ideas or one of the hundred thousand other possibilities and make it your own. Or group plants of a vibrant or contrasting color to arrest the eye…. Find an interesting conversational piece of art and highlight it…. 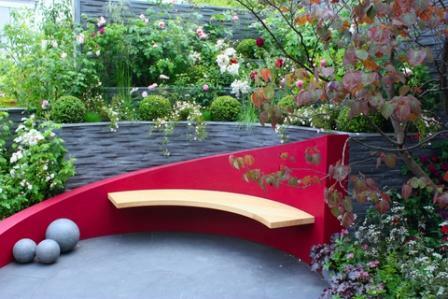 Or place an unusual bench in a corner………. Or highlight a gorgeous view. 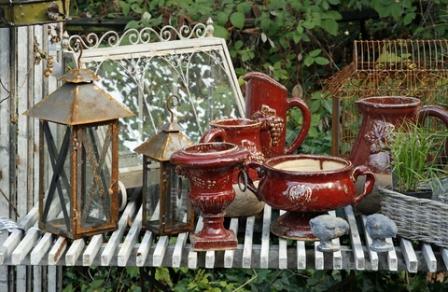 Establish an appealing collection of objects…..
Or focus on a garden wall…. 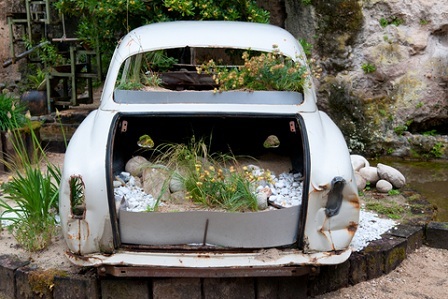 Create an interesting garden expanse…..
Or salvage your dad’s old car….. There is ALWAYS another beautiful option available to design a garden focal point with. Have fun with this!! It is your best opportunity to infuse your garden with personal style!